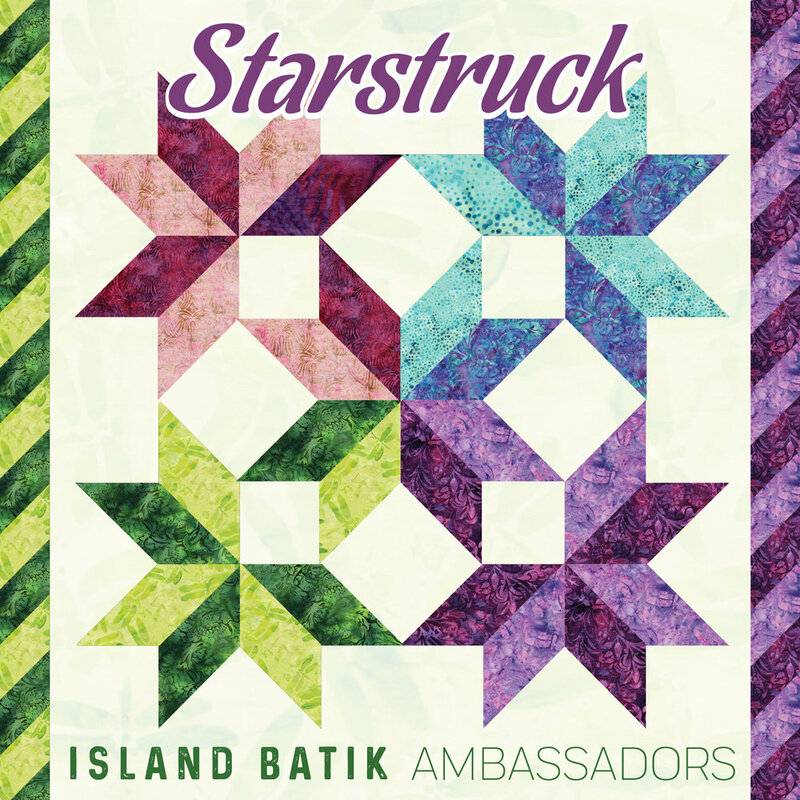 As an Island Batik Ambassador, I create a monthly projects with the batiks they provide. Although my September project(s) were completed in August, family circumstances caused this blog to finally get written in October. I’m back on track now so watch for more timely posts. 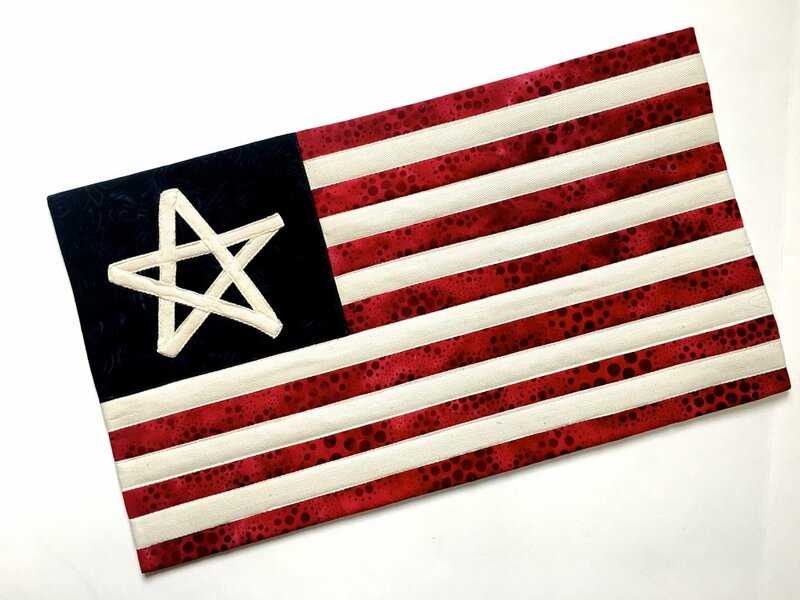 What could be easier than incorporate stars in a project of any size using a technique of your choice. 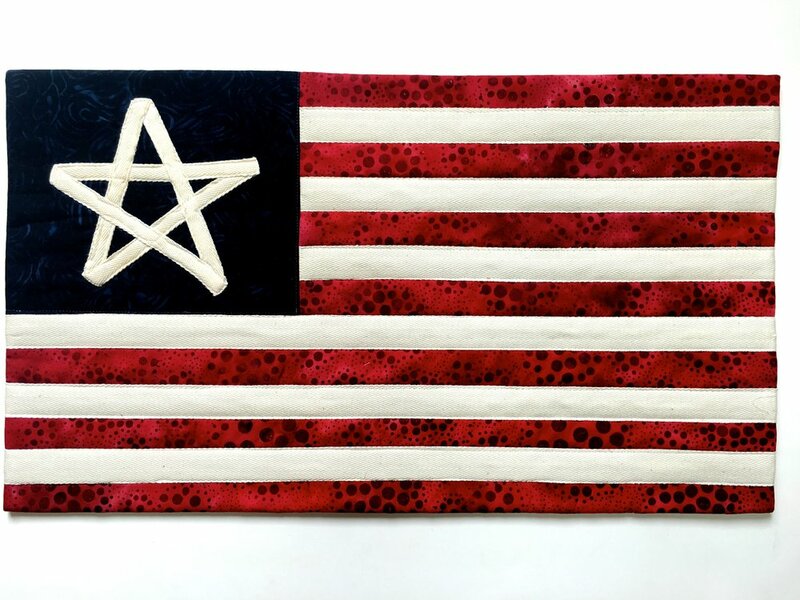 Red, white and blue came to mind for the Starstuck project so I first pulled out batiks in that color pallet. 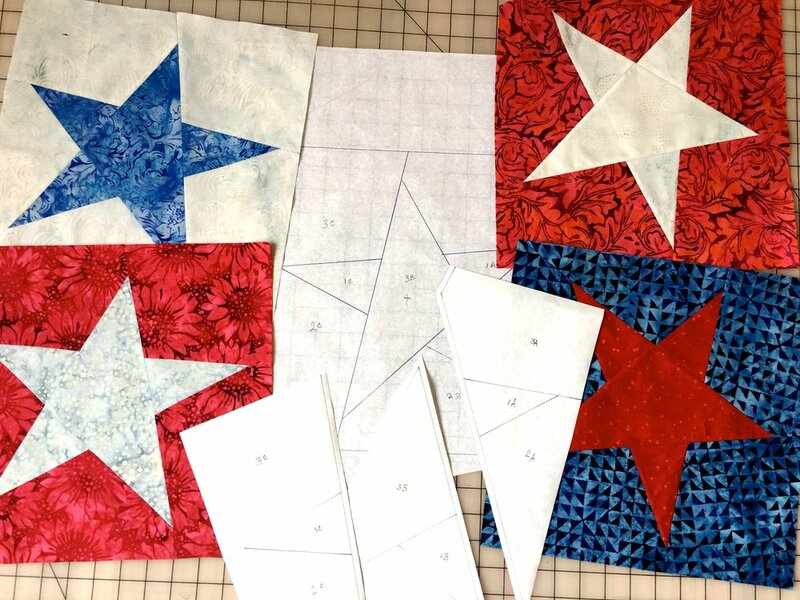 Four freezer paper pieced stars were created with the intention of making a long banner to use as a wall hanging. 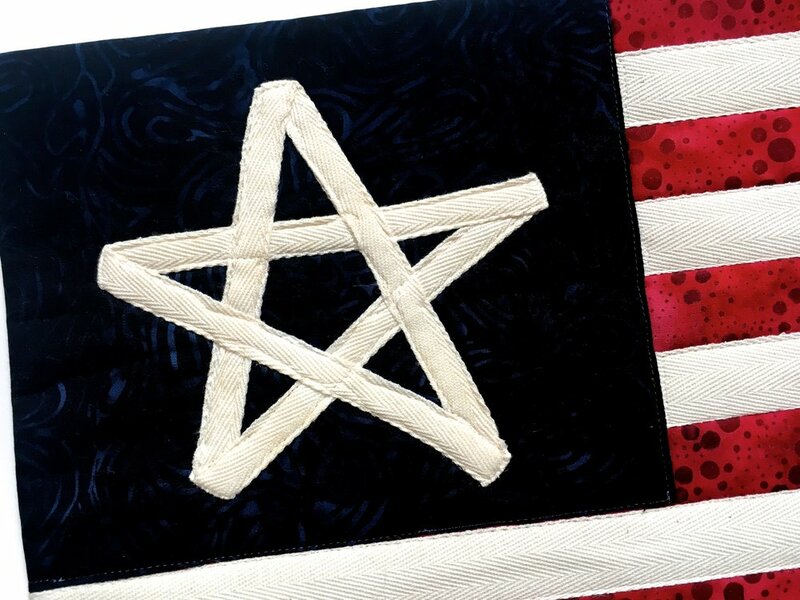 The stars would have worked as a long banner but while on the design table I thought it would be more versatile as a square. With that decision made it was off to the long arm from modern straight line quilting. 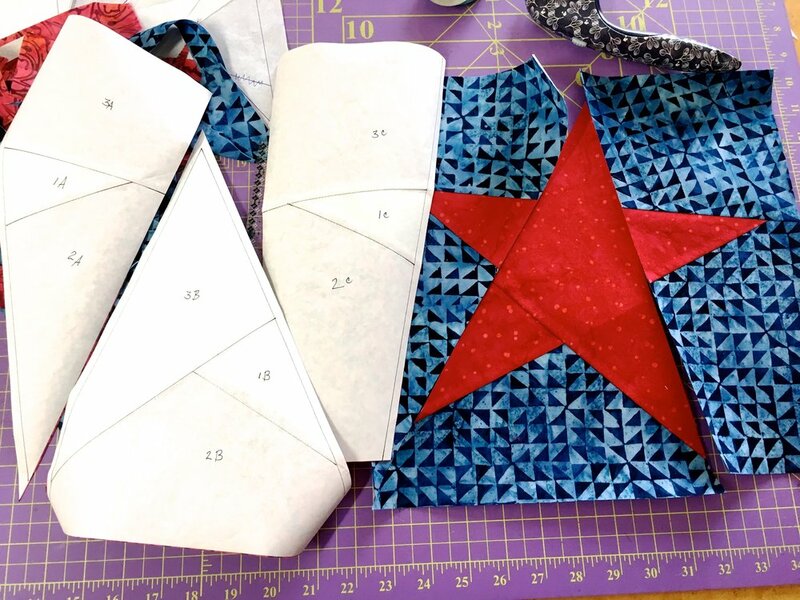 The square orientation allows this small quilt to be used as a wall hanging, sofa/chair scarf or a table topper. Does your stash ever speak to you? Well my stash (will need to live FOREVER to use it all) contained a roll of 100 yards of 3/4” twill tape that had been gifted to me. Yup, she was cleaning out her stash! That twill tape just looked like stripes on a flag so that’s what they became. If the tape could be stripes, it could be the star as well. The edges are finished with a facing technique with the top facing doubling as a hanging sleeve. This type of sleeve allows the mini quilt to lay flat to be used as a table topper as well.